DENVER - MARCH 5: Marcus Camby #23 of the Denver Nuggets runs on to the court before the game against the Phoenix Suns on March 5, 2008 at the Pepsi Center in Denver, Colorado. The Nuggets won 126-113. Got five minutes to get your adrenaline going? Watch a highlight reel of Marcus Camby’s blocked shots. These weren’t just blocks. They were full-scale annihilations of the basketball. Camby batted shots all over the court – all the way down the court, all the way into the stands. They were the kind of swats that made ball-handlers think twice about careening down the lane assuming a layup or dunk was the assured outcome. Some were hammered so far down the court they were basically outlet passes for Allen Iverson or any other Nugget to scoop and easily score. Camby ran the court like a gazelle and blocked shots with fury. On a Nuggets team that played up-tempo before up-tempo was all the rage in the NBA, he was a perfect big man for coach George Karl’s system. He could fill the lane on fast breaks like a guard, yet dunk over any defender. He could guard his man on the opposite side of the court yet still have the speed and lateral quickness to come over and help alter a shot when needed. And it was only a matter of time before the NBA recognized his defensive contributions. 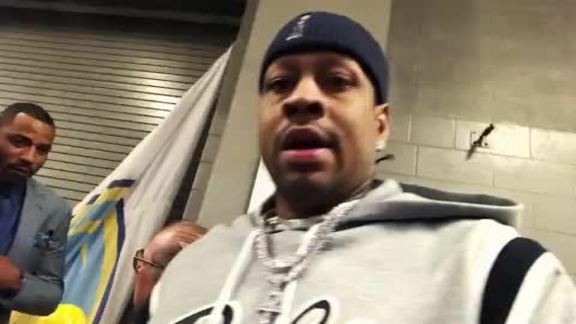 Camby won his only NBA Defensive Player of the Year award with the Nuggets. That was in the 2006-07 season, and Camby’s 3.3 blocks per game that year remains the highest blocks per game average by a Defensive Player of the Year in 16 years. He played in more seasons (six) more games (350) and more minutes (11,777) for the Nuggets than for any other team in his career. All three of the seasons in which he led the NBA in blocks came while he was with the Nuggets. And for the analytics sect that shrugs shoulders at simple blocks numbers? Camby led the NBA in defensive rebounding percentage, total rebounding percentage and block percentage in 2005-06. He was top 25 in defensive rating among players on the court for at least 30 minutes in 2007-08 (24th), 2005-06 (21st) and 2004-05, (16th). 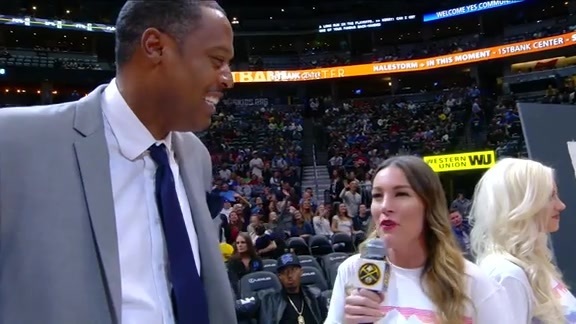 Camby has prominent standing in the Nuggets record books. Only Dikembe Mutombo has more career blocks than Camby’s 1,126 with the Nuggets. Camby is third in team history in defensive rebounds (3,176) and fourth in total rebounds (4,117). His hustle and heart endeared himself to Nuggets fans everywhere. So, we celebrate the man and his meaning to some of the most successful Nuggets teams in history. His impact will never be blocked out.